A lovely review from the Telegraph of the concert I lit last night at the South Bank Centre.. A privilege to work with Esa-Pekka Salonen.. The Boulez score was also one of the biggest I’ve seen! Hearing a composer’s first and second thoughts side by side can be a fascinating and moving experience. Especially when the composer is Pierre Boulez, grand master of French modernism, and the most obsessive reviser in musical history. The first thoughts on display here were Boulez’s tiny piano pieces from 1945, entitled Notations. As the lights fell in the Festival Hall, a spotlight picked out a grand piano right at the back of the platform, with the spare, intense form of pianist Pierre-Laurent Aimard hunched over it. He flung out the obsessive repeating pattern of the Fourth Notation with terrific coiled energy, at which point the lights rose, to reveal more than a hundred players of the Philharmonia Orchestra seated on the platform. With barely a pause for breath, conductor Esa-Pekka Salonen launched them into the corresponding orchestral Notation Boulez teased from that gnomic piano piece, more than 30 years later. This was the opening gambit in the third of Aimard’s and Salonen’s concert series “Inspirations”, which puts modernist masterpieces together in intriguing ways. On the face of it, they seem very different, the brusque energy of the blonde Finn contrasted with the dark intensity of the French pianist. But the affinities go deeper than the contrasts. As his performances of five of Boulez’s Notations proved, Aimard can summon a taut rhythmic energy, and Salonen showed a truly French sensitivity to orchestral colour, in his performances of the gorgeously ornate and sumptuous orchestral versions. 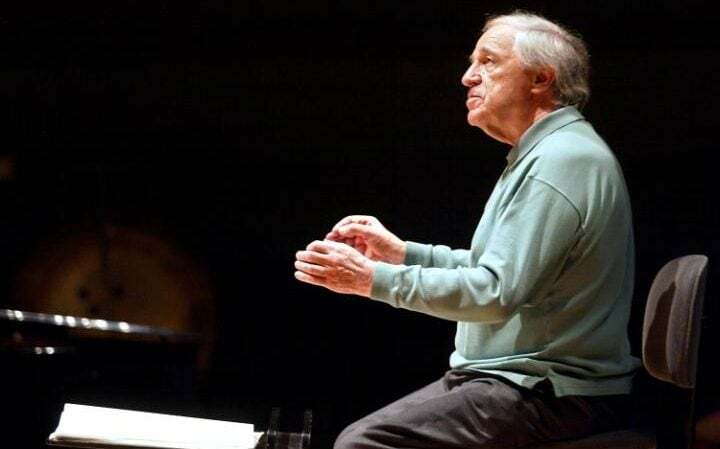 As if that weren’t fascination enough for one evening, the survey of Boulez was interrupted by glances back to the composer who influenced him perhaps more than any other: Claude Debussy. It was startling to hear the tangled weave of Notations IV dissolve without a pause into the dewy purity of Debussy’s Images, and it made vividly clear how much the later composer owed to the earlier one.